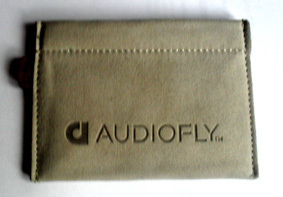 Based in Australia and launching in 2011, Audiofly are headphone specialists. As musicians themselves and developing their craft over many years, they have a strong eye for design as well as for audio. Striving always to improve with their super strength CORDURA® fabric cables, their speakers are built for both warmth and clarity. Tired of your old headphones slipping out of your ear (especially if you have your Tragus pierced like me)? Well these bad boys are going nowhere! It blocks out external noises extremely well so as you are not sharing your music taste with the rest of the bus and vice versa. Catering for all ear sizes, they come with a range of tip sizes so there is one to fit you. The sound quality delivered from the 9mm driver is excellent. Precise mids, subtle treble and pounding bass! 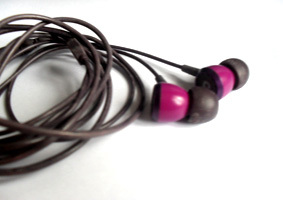 Love your headphones and they will love you back! They come in a tidy, detailed holding case to keep out dirt, dust and other nasties that may damage it’s delicate components. Summary: Looking for superb sound for your precious pennies? Then look no further than the Audiofly AF33.